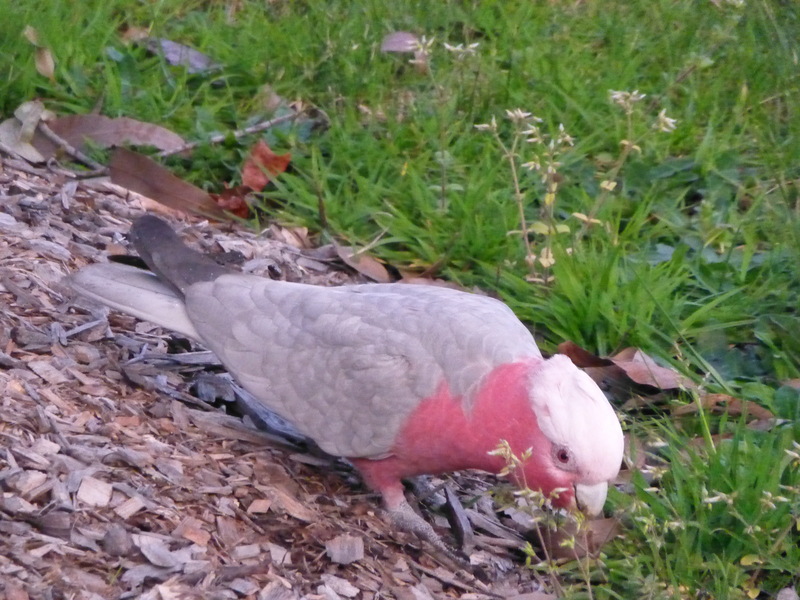 This menu may seem dull to us, but I suppose it’s a smorgasbord if you’re a Galah. There’s nothing nicer than seeing our beautiful Australian parrots living free. Recently I spotted a small flock near our home. These pretty birds are fairly large and are sometimes kept as pets. They are wonderful talkers. But for my money they’re best in the wild, free and untamed. 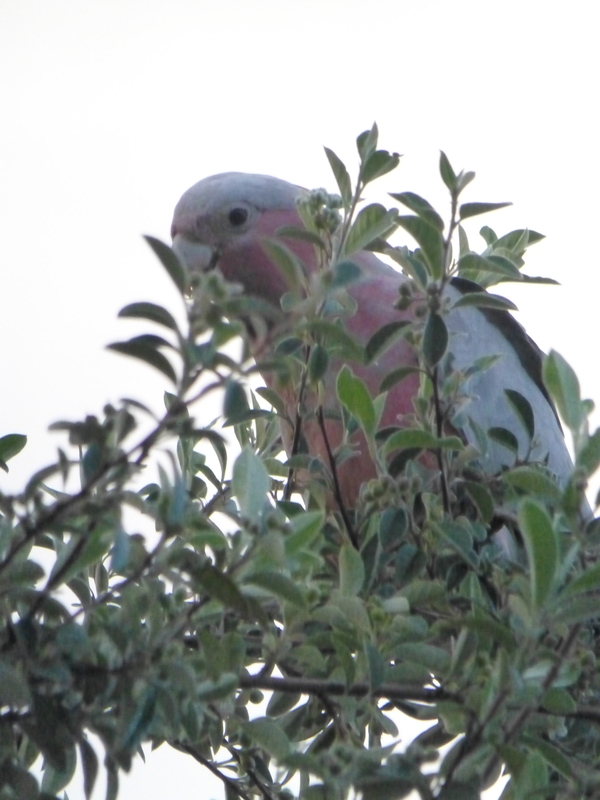 At day’s end: that when I captured this image of a Galah perched in a large Cotoneaster shrub. I see these pretty, coloured birds from time to time. Strangely, I’m yet to spot one in the local bushland park. These parrots seem to prefer the suburban gardens and grasses. Normally, where I live they cluster together in small flocks. The dimming light seems to create a quite muted and delicate air.